Introducción: La evaluación de la Reactividad Vascular (RV) se hace mediante la respuesta hiperémica después de una isquemia producida por oclusión arterial. Existen técnicas de medición de RV que permiten evaluar la función vascular con menor costo y sin dependencia del operador, pero se encuentran en desarrollo y requieren validación y aceptación clínica. Objetivo: Modelar computacionalmente la mecánica vascular con el fin de evaluar el desempeño de una técnica de RV. Materiales y métodos: Se modificó el modelo eléctrico de la vasculatura del brazo, obteniendo el volumen periférico con y sin oclusión de la arteria braquial. Se realizó una identificación computacional que relaciona el volumen periférico con los resultados de una técnica de evaluación de RV que presenta cambios de color en la mano ocluida durante hiperemia reactiva. El software utilizado fue Matlab®. Resultados: El modelo modificado permitió obtener el volumen periférico con y sin oclusión representando la perfusión en la microvascultura. El modelo no lineal Hammerstein-Weiner fue el mejor descriptor de los cambios de color en función de la dinámica del sistema vascular y presentó porcentaje de ajuste promedio de 95,69%. Conclusiones: Es posible modelar computacionalmente la técnica de evaluación de la función vascular utilizando identificación no lineal. Diana Carolina Arboleda-Gómez, Grupo de Investigación en Bioinstrumentación e Ingeniería Clínica - GIBIC, Programa de Bioingeniería, Universidad de Antioquia. Medellín, Colombia. Jenny Kateryne Aristizábal-Nieto, Grupo de Investigación en Bioinstrumentación e Ingeniería Clínica - GIBIC, Programa de Bioingeniería, Universidad de Antioquia. Medellín, Colombia. Alher Mauricio Hernández-Valdivieso, Grupo de Investigación en Bioinstrumentación e Ingeniería Clínica - GIBIC, Programa de Bioingeniería, Universidad de Antioquia. Medellín, Colombia. World Health Organization. Global Status Report on Noncommunicable Diseases 2014. http://www.who.int/en/. Published 2014. Arrebola-Moreno AL, Laclaustra M, Kaski JC. Noninvasive Assessment of Endothelial Function in Clinical Practice. 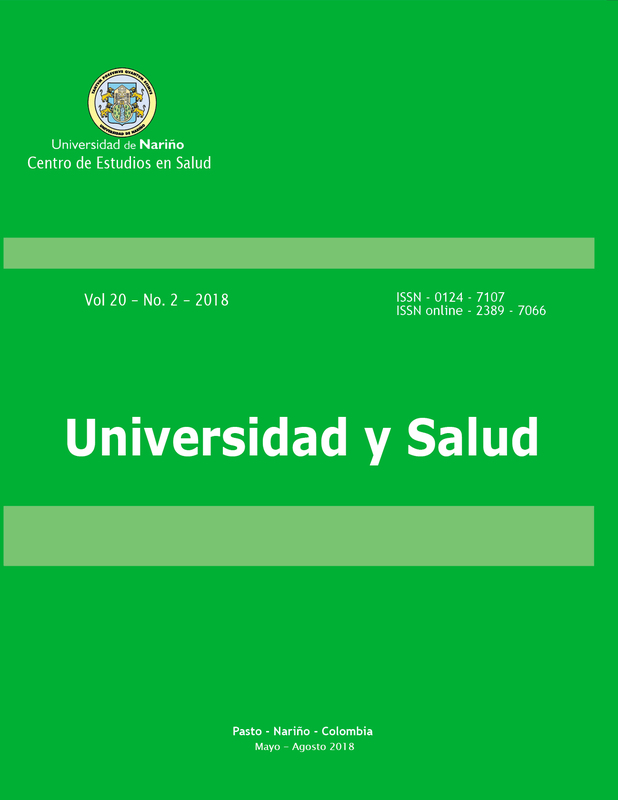 Rev Española Cardiol (English Ed. 2012;65(1):80-90. doi:http://dx.doi.org/10.1016/j.rec.2011.10.004. Verma S, Anderson TJ. Fundamentals of endothelial function for the clinical cardiologist. Circulation. 2002;105(5):546-549. doi:10.1161/hc0502.104540. Dhindsa M, Sommerlad SM, DeVan AE, et al. Interrelationships among noninvasive measures of postischemic macro- and microvascular reactivity. J Appl Physiol. 2008;105(2):427-432. doi:10.1152/japplphysiol.90431.2008. McQuilkin GL, Panthagani D, Metcalfe RW, et al. Digital Thermal Monitoring (DTM) of Vascular Reactivity Closely Correlates with Doppler Flow Velocity. Eng Med Biol Soc 2009 EMBC 2009 Annu Int Conf IEEE. 2009:1100-1103. doi:10.1109/IEMBS.2009.5333962. Takase B, Hamabe A, Satomura K, et al. Comparable Prognostic Value of Vasodilator Response to Acetylcholine in Brachial and Coronary Arteriesfor Predicting Long-Term Cardiovascular Events in Suspected Coronary Artery Disease. Circ J. 2006;70:49-76. Corretti MC, Anderson TJ, Benjamin EJ, et al. Guidelines for the ultrasound assessment of endothelial-dependent flow-mediated vasodilation of the brachial artery: A report of the international brachial artery reactivity task force. J Am Coll Cardiol. 2002;39(2):257-265. doi:10.1016/S0735-1097(01)01746-6. Budoff M, Ahmadi N, Kleis S, et al. Digital (Fingertip) Thermal Monitoring of Vascular Function: A Novel, Noninvasive, Nonimaging Test to Improve Traditional Cardiovascular Risk Assessment and Monitoring of Response to Treatments. In: Media SS, ed. Asymptomatic Atherosclerosis: Pathophysiology, Detection and Treatment. ; 2010:248-263. Schier R, Marcus HE, Mansur E, et al. Evaluation of Digital Thermal Monitoring as a Tool to Assess Perioperative Vascular Reactivity. J Atheroscler Thromb. 2013;20(3):277-286. Schier R, Schick V, Amsbaugh A, et al. Brachial artery reactivity and vascular reactive hyperemia for preoperative anaesthesia risk assessment -- an observational study. BMC Anesthesiol. 2014;14(1):1-10. doi:10.1186/1471-2253-14-47. Zhang H-D, He Y, Wang X, Shao H-W, Mu L-Z, Zhang J. Dynamic infrared imaging for analysis of fingertip temperature after cold water stimulation and neurothermal modeling study. Comput Biol Med Elsevier. 2010;40(7):650–656. Wang X, He Y. Experimental Study of Vascular Reactivity in the Fingertip: An Infrared Thermography Method. Biomed Eng Informatics (BMEI), 2010 3rd Int Conf. 2010;3:1180-1184. doi:10.1109/BMEI.2010.5639589. Zahedi E, Jaafar R, Mohd Ali MA, Mohamed AL, Maskon O. Finger photoplethysmogram pulse amplitude changes induced by flow-mediated dilation. Physiol Meas. 2008;29(5):625-637. doi:10.1088/0967-3334/29/5/008. Selvaraj N, Jaryal AK, Santhosh J, Anand S, Deepak KK. Monitoring of reactive hyperemia using photoplethysmographic pulse amplitude and transit time. J Clin Monit Comput. 2009;23(5):315-322. doi:10.1007/s10877-009-9199-3. Goldoozian LS, Zahedi E. Electrical analog model of arterial compliance during reactive hyperemia. Biomed Eng (MECBME), 2011 1st Middle East Conf. 2011:49-53. doi:10.1109/MECBME.2011.5752062. Lanzarone E, Liani P, Baselli G, Costantino ML. Model of arterial tree and peripheral control for the study of physiological and assisted circulation. Med Eng Phys. 2007;29(5):542-555. doi:10.1016/j.medengphy.2006.08.004. Lanzarone E, Casagrande G, Fumero R, Costantino ML. Integrated model of endothelial no regulation and systemic circulation for the comparison between pulsatile and continuous perfusion. IEEE Trans Biomed Eng. 2009;56(5):1331-1340. doi:10.1109/TBME.2009.2014738. Westerhof N, Bosman F, De Vries CJ, Noordergraaf A. Analog studies of the human systemic arterial tree. J Biomech. 1969;2(2):121-134-136-138-143. Mashayekhi G, Zahedi E. Modeling blood flow & pressure in systemic circulation with cuff occlusion. Biomed Eng (ICBME), 2013 20th Iran Conf. 2013:48-53. doi:10.1109/ICBME.2013.6782191. Babbs CF. Oscillometric measurement of systolic and diastolic blood pressures validated in a physiologic mathematical model. Biomed Eng Online. 2012;11(1):56. doi:10.1186/1475-925X-11-56. Barrebet KE, Barman SM, Boitano S, Brooks HL. Ganong, Fisiología Médica. 23a ed. México: McGraw-Hill; 2010. Kendall M. Rank Correlation Methods. Charles Griffin and Company; 1962. citeulike-article-id:793850. Ljung L. System identification - Theory for the User. Wiley Encycl Electr Electron Eng. 1999. Akaike H. A New Look at the Statistical Model Identification. IEEE Trans Automat Contr. 1974;19(6):716-723. doi:10.1109/TAC.1974.1100705. Dolanc G, Strmčnik S. Identification of nonlinear systems using a piecewise-linear Hammerstein model. Syst Control Lett. 2005;54(2):145-158. doi:10.1016/j.sysconle.2004.08.002. Lusson Cervantes A, Agamennoni OE, Figueroa JL. Use of Wiener Nonlinear MPC to control a CSTR with multiple steady state. Lat Am Appl Res. 2003;33(2):149-154. Lenkey Z, Illyés M, Böcskei R, et al. Comparison of arterial stiffness parameters in patients with coronary artery disease and diabetes mellitus using Arteriograph. Physiol Res. 2014;63(4):429-437.